Dealers may choose to "floor plan" inventory. 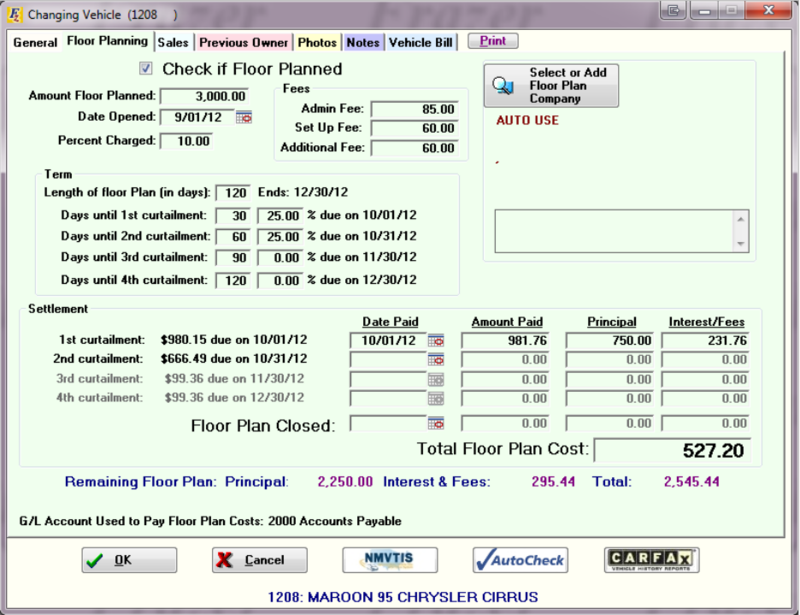 A Floor Plan is a line of credit or loan used to purchase vehicles for inventory. The vehicles are the collateral and the loan is repaid when the vehicle is sold. 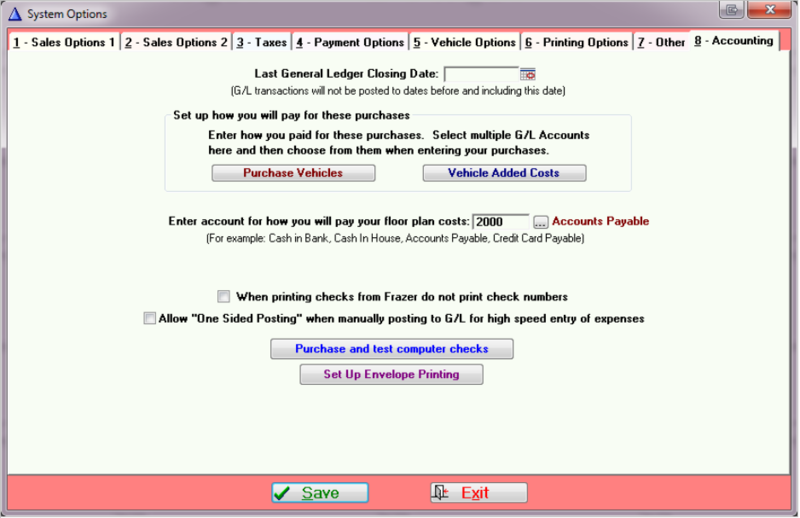 To floor plan a vehicle, click on in the main Frazer Menu. Select an existing vehicle to be floor planned by highlighting the vehicle and double-clicking OR by highlighting the vehicle and clicking . 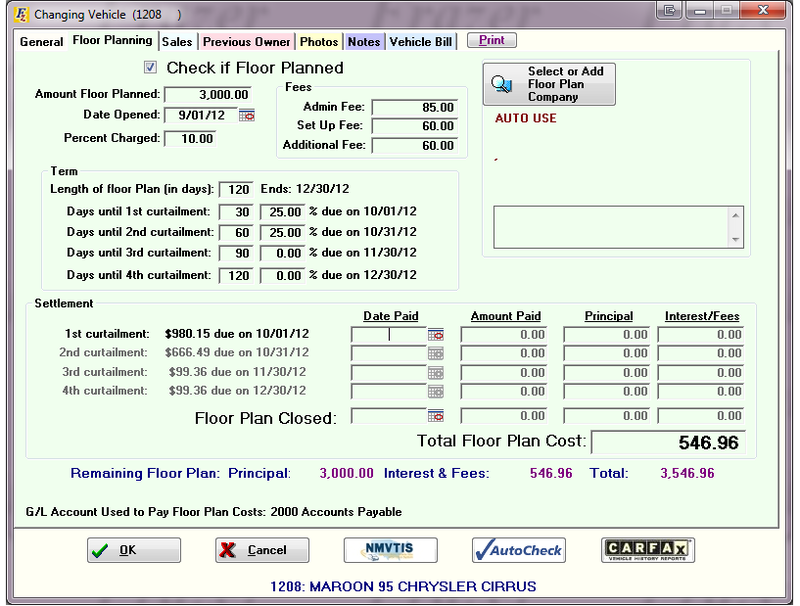 Click on the Floor Planning tab. Check the box next to Check if Floor Planned. A list of the Floor Plan Companies will appear. Double click on the selected Floor Plan Company or highlight the name of the company and click on . 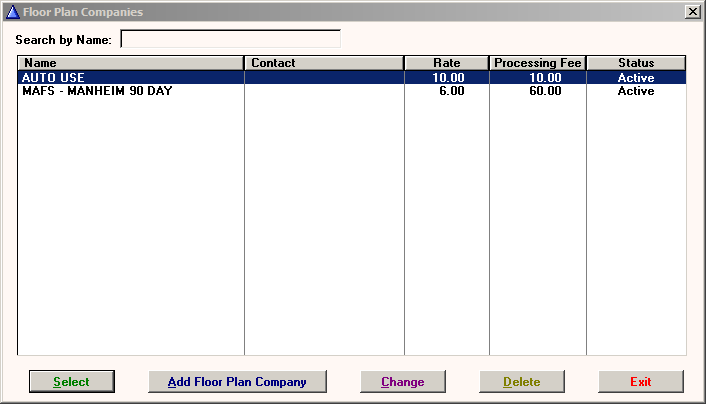 The terms already entered for the specified Floor Plan Company will populate the Floor Planning Tab (See Floor Plan Companies). To enter the payment for each curtailment, enter the Date Paid. The amount due will automatically be estimated and entered into the Amount Paid column, with the principal and interest/fees also calculated. If the actual amount paid was different, simply enter that amount. 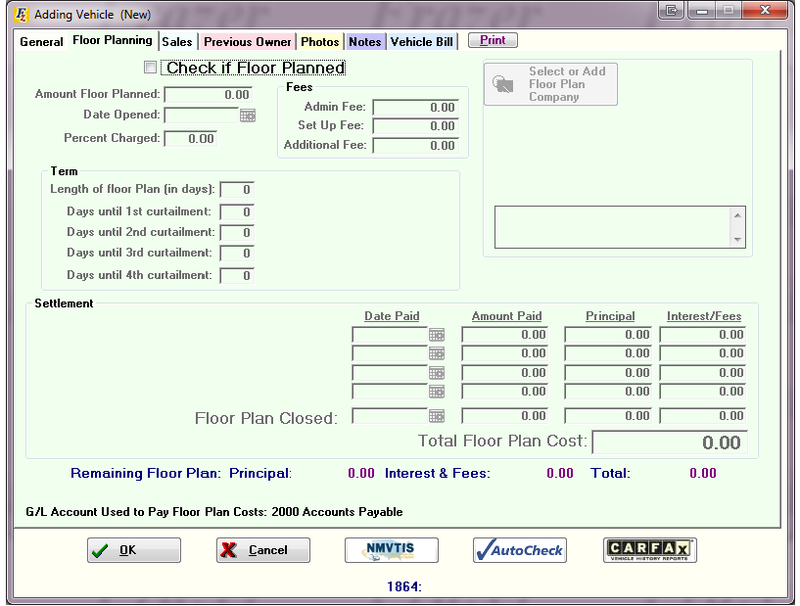 To change the default for how a floor plan is paid, go to >> 1 - System Options >> 8 - Accounting and select the account used to pay for the floor plan costs.